The research that developed the TRIZ method (Altshuller, 1988) focused on studying the patterns of change that created innovative patents. Applying the heuristic rules that the TRIZ research uncovered, such as the patterns of technological evolution and the 40 principles of innovative problem solving has led us to new heights of creativity. Applying the problem analysis methods, such as ARIZ, Su-field analysis, and more recent techniques (functional analysis, problem formulator techniques, triads, etc.) expand the creative possibilities still more. TRIZ has given us a left-brain methodology for breakthrough product innovation, a model for the product developers or problem solvers to use to organize and analyze their collective thoughts. Left-brain methods rely on logic and data. Brainstorming methods that rely on mood and making unexpected connections use right-brain thinking. (Ornstein, 1975.) The power of TRIZ comes from the logical analysis and recognition of patterns in our current problems, and application of the solutions that has developed breakthroughs for that pattern. One of the problems in the application of TRIZ, however, has been the phenomenon that Altshuller identified as "Psychological Inertia." (See the other articles in the August, 1998 issue of The TRIZ Journal.) TRIZ itself helps overcome the Psychological Inertia of many developers, but it can sometimes prevent them from using the creative ideas that they generate by applying the TRIZ methods. The same logic that developed TRIZ, the study of patterns of invention, has been applied in other disciplines. Studying the patterns in other aspects of life, like the way we think, has lead to fascinating breakthroughs in the study of cognitive strategies. A cognitive strategy refers to the mental process or program (in the sense of a computer program) that creates a specific outcome. Each step in a cognitive strategy is characterized by the use of one or more of the five senses; sight, hearing, feeling, tasting, or smelling. In order to replicate a cognitive strategy, you need to recognize it, attach some meaning to it, and analyze the information around other strategies. Researchers have found ways to model excellence by teaching people the cognitive strategies of others. This methodology is called Neuro-Linguistic Programming (NLP). (Bandler & Grinder, 1979.) Robert Dilts, a co-founder, avid researcher, and author in the field of NLP, has studied and modeled the cognitive strategies of geniuses and then created models of how they thought. The cognitive strategies of geniuses like Fritz Perls, Milton Erickson, Mozart, Einstein, and Walt Disney have all been studied to determine their unique cognitive strategy. Using NLP techniques in product design session can help engineers enter into states of excellence where they will overcome their own psychological inertia, and be able to take advantage of the creativity and innovation of TRIZ more naturally and easily. For example, one NLP technique called, "anchoring," uses language and sensory imagery to lead product development team members into a time when they were wonderfully creative and innovative. By asking team members to use sensory language (what they saw, heard, or felt) to describe the environment, attitudes, skills, and beliefs they experienced during a period of intense creativity, their neurology starts a process of creating their own cognitive strategy for personal excellence. Thus, if their application of TRIZ creates radical, new, breakthrough ideas, they are less likely to reject them ("we've never done it that way") because their work with NLP has conditioned them to accept the new ideas. By combining the potential of NLP with a power of TRIZ/ARIZ, and addressing creativity from a cognitive standpoint and a logical one, organizations can realize tremendous product breakthroughs. Management's top priority is planning and ensuring that everyone is working on key business objectives. 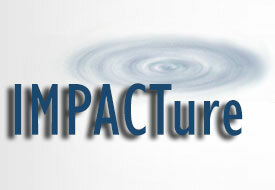 IMPACTure helps organizations in the design and development of strategies for change and continuous improvement. Working with executive management teams, IMPACTure facilitates group understanding of the competition, the current environment, and what it will take to become a top performing organization. We know that change cannot take place unless the organization has a strong strategic focus, listens to their customers and encourages team work. Copyright (c) 1994 - 2017, IMPACTure. All Rights Reserved.